100 Tranquility Trce #25, Chesapeake, VA 23320 (#10229462) :: Abbitt Realty Co. Single family detached condo on the intracoastal waterway! Get your weekends back with this beautiful gated & maintenance free community with an emphasis on nature & outdoor living. All single family homes have a covered rear porch with terrific views! Community amenities include an on the water pavilion, community pier, boat slips, canoe/kayak launch & picnic areas. Take a walk down the trail to the pool & clubhouse with fitness center. Keep your boat at home with an optional pier & boat dock with lift. No flood insurance required! 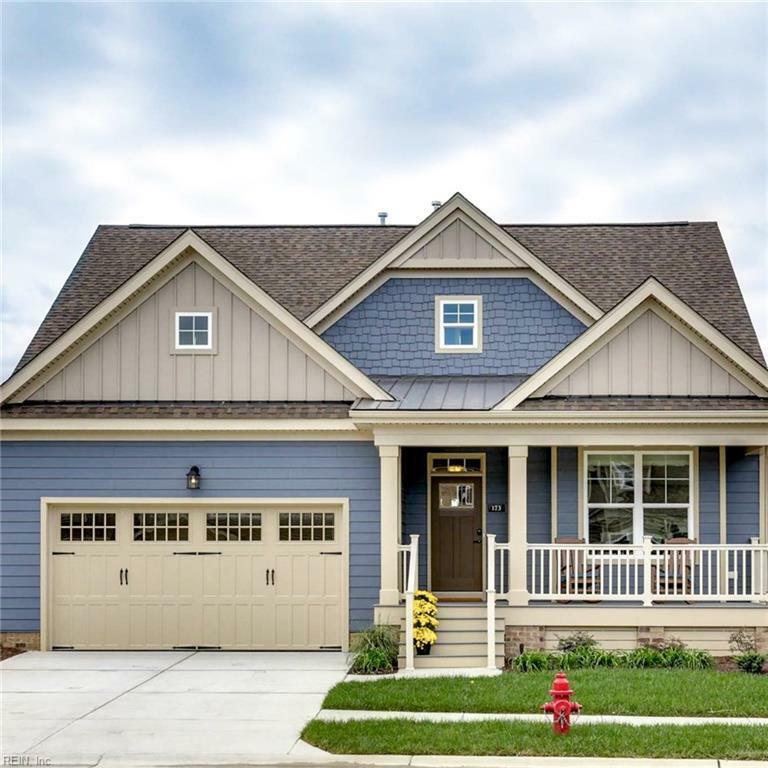 The Lynnhaven is an open floor plan with a 1st floor master suite. Enjoy fantastic views from the kitchen, family room & master bedroom! 2 bedrooms upstairs with a jack & jill bathroom & loft. Convenient walk-in attic storage. Standards include ceramic tile in all bathrooms, granite countertops in the kitchen with a stainless steel appliances package (gas available).